Executive-style, retractable ballpoint pen features a revolutionary extra-wide body and a triangular cushioned grip for comfort and control. Chrome-plated accents highlight the cap, clip, barrel and tip. 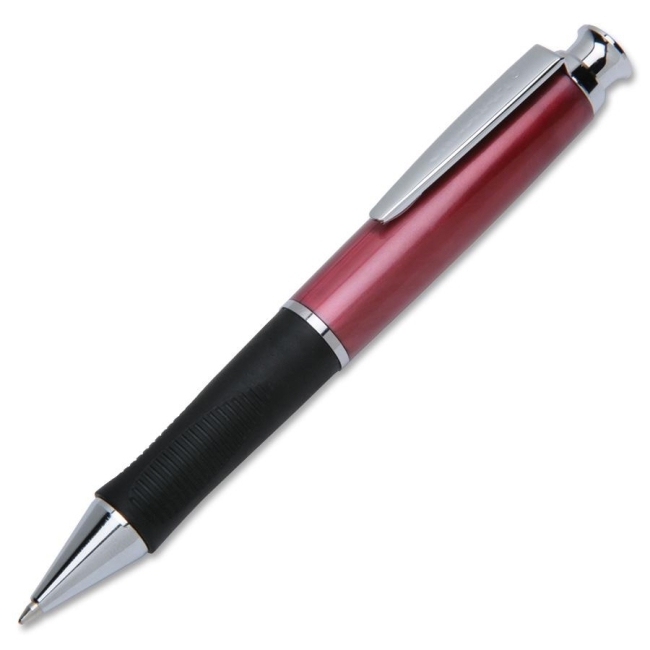 Refillable pen is made using 30 percent post-consumer recycled plastic.